A year ago, several experts predicted the new tax law would cause a slowdown in the housing market. So far, the limitations on mortgage-interest and property-tax deductions haven’t had a negative impact. Instead, rising mortgage rates and home prices are doing more to put a damper on the market. Was There Some Panic in 4Q? We’re going to start a contest for Padres tickets in the new year, so let’s get a read on how things wrapped up in 2018. We know that NSDCC sales were down 10%, and the median SP was up 8%. 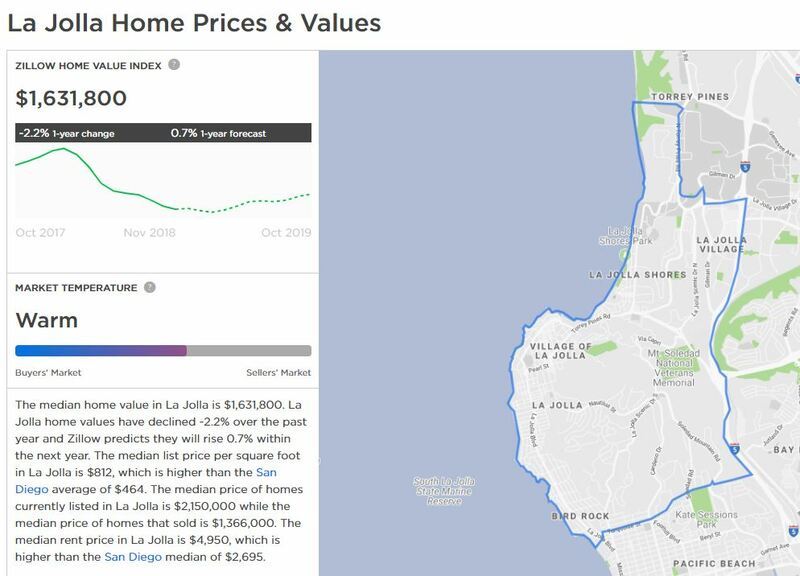 Sales of detached homes in San Diego County were down 11%, and the median sales price was up 7%. 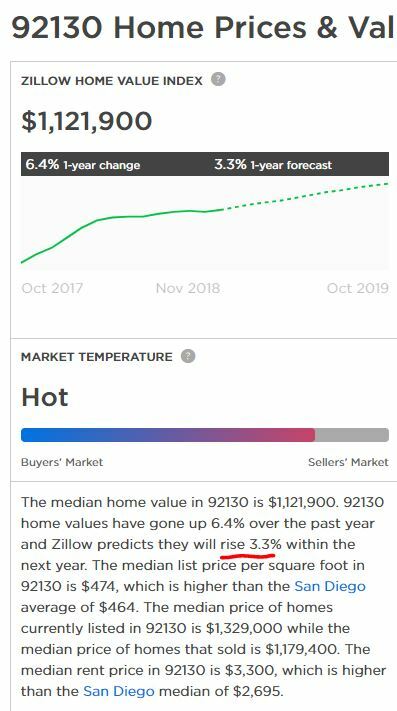 If sellers were feeling a sense of panic about the market – and prices – we would be seeing more new listings hit the market. Have there been more listings than usual lately? The other comparisons we’ve done have shown that the 2018 stats have mostly been similar to previous years. But once we have the complete total for new listings, it looks like the 4Q18 number is likely to be at, or above, all of the recent years. It’s already 12% above last year, and the MLP is actually lower. There were fewer December listings, but that means the October/November count was higher than ever. 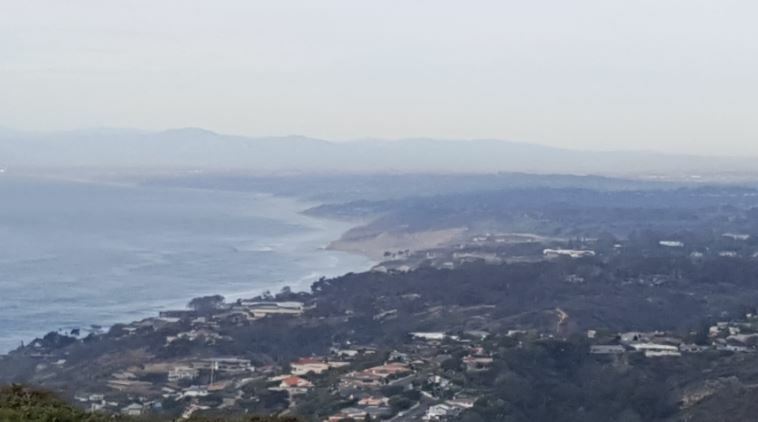 With soggy conditions in place already, did potential sellers this month decide to wait for a 2019 launch? Will we see a surge of new listings in early 2019? 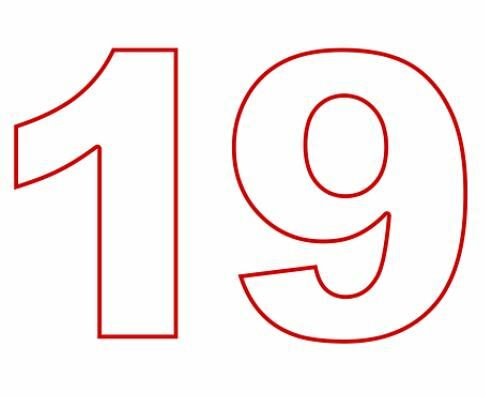 We are wrapping up another year, and have eyes on 2019! National Association of Realtors: Sales +1%, prices +3.1%. 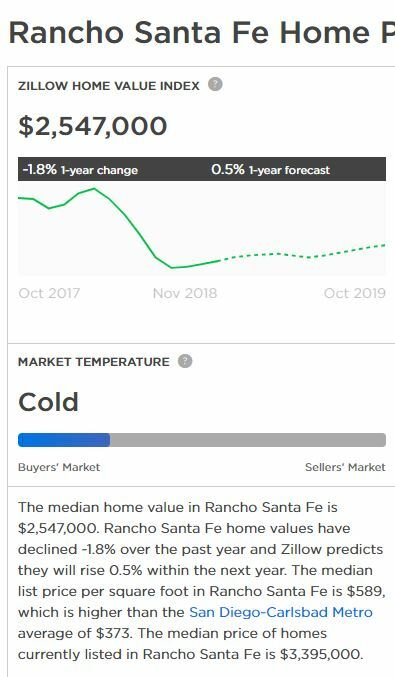 Realtor.com: Sales -2%, Median SP +2.2%. California Association of Realtors: Sales -3.3%, CA Median SP +3.1%. The opinions are fairly universal throughout the industry. Sales might be down a little, and prices up a little. But I’m sticking with -20% for NSDCC sales, which by comparison, sounds catastrophic. We only had a 10% decline this year and everyone was reaching for the panic button, so if it happens, it will feel uncomfortable for most. But the inventory will be there, it just means more of it won’t be selling. 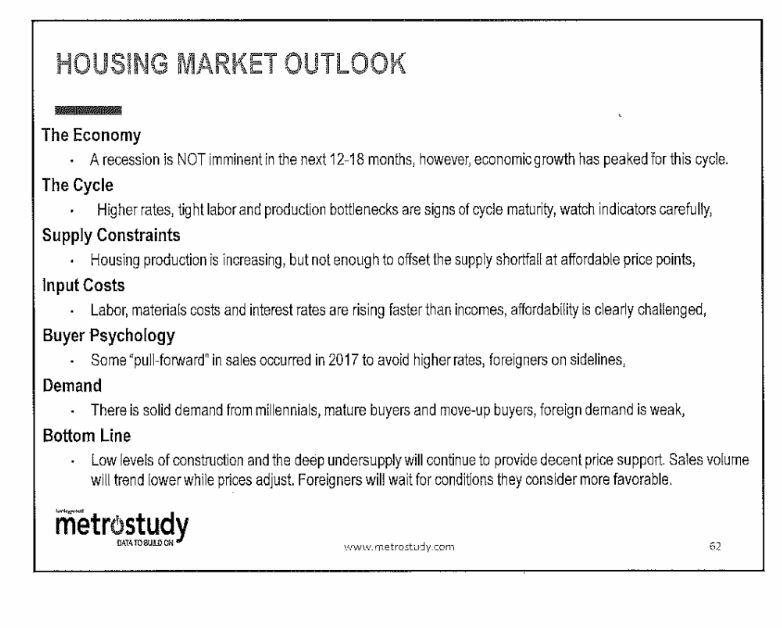 Additional inventory is encouraged….up to a point. In 2006, the inventory ballooned to 6,046 listings, which was 9% higher than the previous year’s count. The surge in new listings set buyers back on the their heels, and sales plunged 13% in 2006 compared to 2005. The 2018 counts above are today’s numbers, so a few more will be added. Using these numbers, listings are up 3% YoY, and sales are down 11%, YoY. The median sales price is +8% YoY, but that’s for the whole year. We saw the October Case-Shiller Index be up only 3% YoY, so pricing is decelerating. The stock market crashed 635 points on Monday, only to go up 1,086 yesterday – and yet the 30-year jumbo rate hasn’t budged (still at 4.41%). 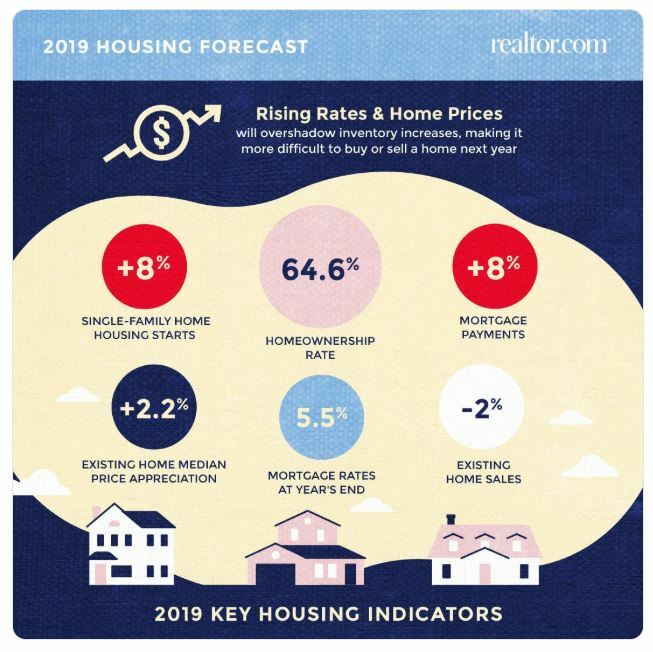 Pricing might drop a little, but the sales go first, so I think we won’t see much change in the NSDCC median sales price in 2019. 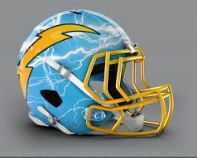 The Chargers – still euphoric from having 7 of their players make the Pro Bowl – lost badly last night, and that should doom the rest of their Cinderella season. They will probably end up in Pittsburgh or New England for their playoff game, and have a premature ending to their Super Bowl run – and eliminate a potential distraction for our early-2019 housing market. The stock market should level out early in the new year, after causing mortgage rates to dip into the low-4s, which will be good news too. All we need is some well-priced inventory, and off we go! Except for one thing – will sellers and agents remember the Struggle of 2018? The holidays always provide a nice distraction for all, and help to put some distance between our previously sluggish market conditions and the clean slate of a new year. The Top 30% of listings will have no trouble selling. They are in excellent condition and are priced fairly. The Bottom 40% of listings won’t sell. It happens like that every year. It’s the Middle 30% that will determine the fate of the selling season of 2019. The jitters in the stock market should translate over to real estate, and nervous home-sellers will be listing earlier than ever. We’ll probably have a new record high for January listings – which should set buyers back on their heels even more as they wonder who is going to go first. The Top 30% of listings will be fine and orderly. It will be how the Middle 30% decide their pricing – are sellers nervous enough that they will resist adding a little cushion to their list price? No way – the sluggishness of 2018 will be a distant memory, if remembered at all. The higher comps of 6-18 months ago will be used to justify retail-plus pricing, just like always. There will be mixed messages because those in the Top 30% that sell briskly will make potential sellers think everything is fine again. 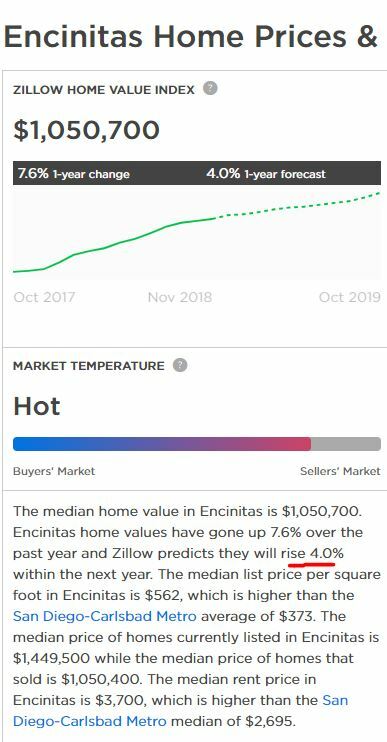 But if we see unsold listings are starting to pile up by May/June, it will become obvious to buyers that the Middle 30% needs to adjust their pricing radically if they want to sell. Sellers should get it done early, before it becomes obvious. The sluggishness started in July this year, and it will probably be back earlier in 2019. A pause in the Fed hikes was looking good. 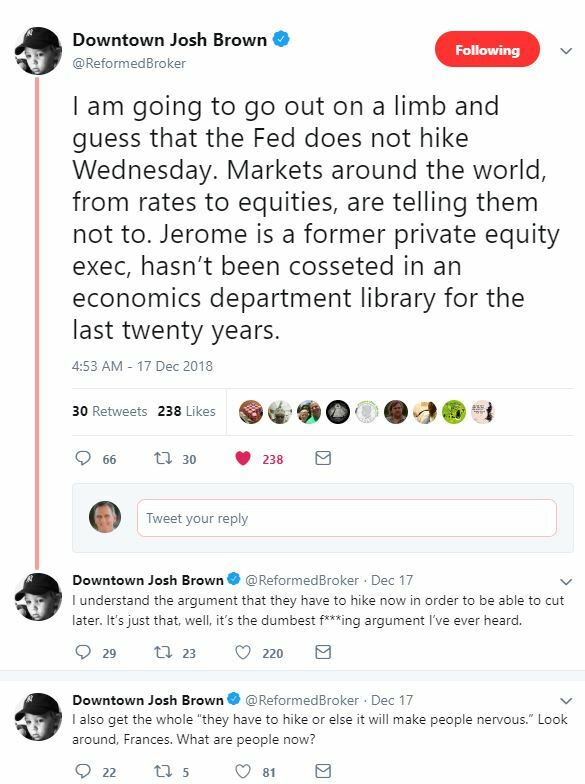 If you think your job is tough, consider Federal Reserve Chairman Jerome Powell. He’s signaled for months that the Fed will raise interest rates again this week, but economic and financial signals suggest he should pause. Meanwhile, Donald J. Trump is beating him up almost daily not to raise rates. What to do? The right answer is to ignore the politics, inside and outside the Fed, and follow the signals that suggest a prudent pause in raising rates at this week’s Open Market Committee (FOMC) meeting. Get the monetary policy that best serves the economy, and the politics will work itself out. Get the policy wrong, and Mr. Trump will be the least of Mr. Powell’s political worries. Josh agreed in his tweet above, and it looked like we had a shot! The Fed is going to be tempted to make their rate decision based on politics, and show Trump who the boss is. Median pricing is like politics – it makes you want to make decisions based on less-relevant data. Keep your eyes on sales – they are the precursor of what’s ahead. Even if the Fed skips this rate hike, we are still going to see sales plummet next year. They could help make it a softer plummet though! Those with the least amount of experience and education. Those who don’t own a home here yet. People in these two categories aren’t hampered by the over-analysis that comes with owning a home here currently. Those who already own a home in San Diego have paid less, and have a lower mortgage rate. We are trying to make sense of giving that up, and paying more! It’s a burden that thwarts most attempts to move by current homeowners. But those who don’t study it too hard, or don’t already own a home will forge ahead. They have already decided that buying a home make sense in this environment, and have their own personal consequences if they don’t buy. They aren’t going to be talked out of it either. Figure out how many people are in that group, and you can predict the future. Everyone else will enjoy their comfortable spot on the fence and wait-and-see what these folks will do. Let’s acknowledge though that people in these five groups aren’t tethered with the same restraints as the rest of us – it’s just a matter of how many people are in these groups. How many? My guess is 80% of those who bought in 2018. 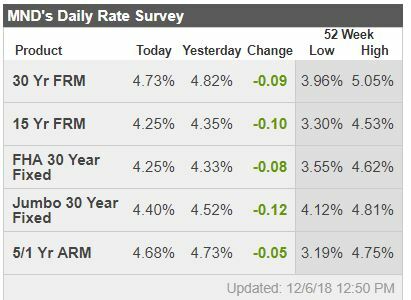 The pundits are chiming in on their housing expectations for next year, and the opinions revolve around one topic: Higher mortgage rates are changing things. For sales to stay the same, then buyers will have to agree that the sellers’ prices are about right. Will sellers list their homes attractively enough, especially early in the selling season? Or is it more likely that they will add a little mustard to their price in spring, just because they’re not going to give it away? The 2018 sales are similar to those in 2014, which happens to be the last time rates had popped up 1%. Something has to give, doesn’t it? Sellers aren’t going to bend much on price, especially early in 2018 – they won’t believe their prices are wrong until they try them out for months, and maybe longer. So if most buyers wait-and-see, then sales have to give. I’m sticking with my prediction that 2019 NSDCC sales will drop 20%, YoY. 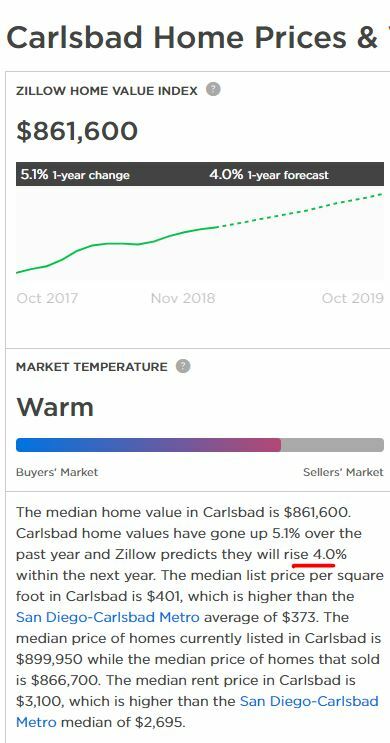 I snipped this Zillow forecast (above) in October, 2016. 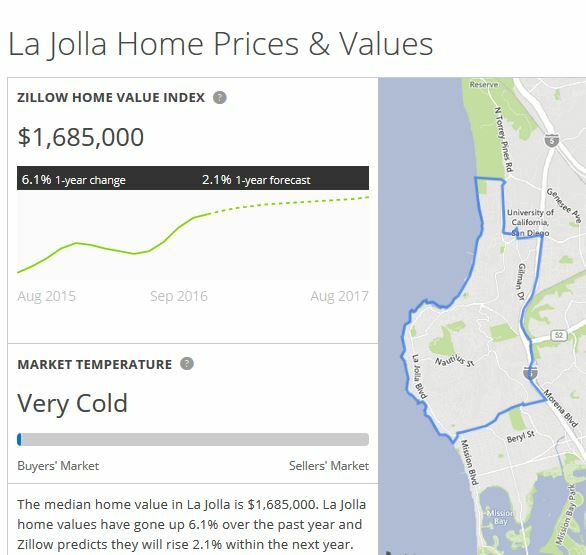 They expected La Jolla home values to go up 2.1% in 2017, which earned a ‘Very Cold’ label.